Uber Shows How to Make Money with Social Media – StratGo Marketing. Plug-in marketing department services. Something interesting recently happened in Washington, D.C. Really, no joke. A for-profit company galvanized its customers via the Internet and social media to intervene on its behalf with the city council. And guess what? The company and the customers won. There may be other on-demand personal transportation services that can be hailed from your smartphone, but we’re talking about Uber here. 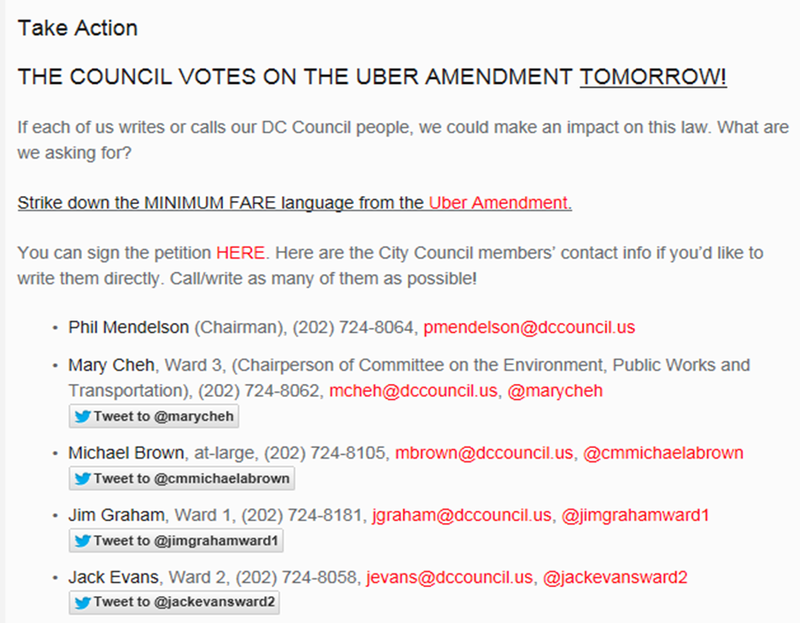 The gist of the issue was that Uber was catching-on with DC-area consumers and eating into the local taxi business. That prompted the taxi industry to lobby the city council for a bill amendment that would artificially raise Uber’s minimum price to five times that of a taxi. Uber fought back the clever way. The company’s co-founder and CEO issued a blog post and urged loyal users to reach out to the city council. He made it very easy by listing the member’s name, phone number, email; and where possible, direct link to send them a personal tweet. According to The Wall Street Journal, “within hours, inboxes were flooded with thousands of email complaints. Uber didn’t post a form letter on its website, so all the emails were personally composed by consumers.” The city council backed down. This is the power of the Internet today. And it’s a strong example of how a business can use the net to engage with its customer base and drive change, even with a governmental body. Uber didn’t need to hire expensive lobbyists. They just told their customers what was happening and gave them the tools to take their own action. Great stuff! Activate a customer-first mindset, and be clever and smart with your Web and social media communications. ← How to Sell Steak at Walmart: Find New Ways to Talk About An Old Product.